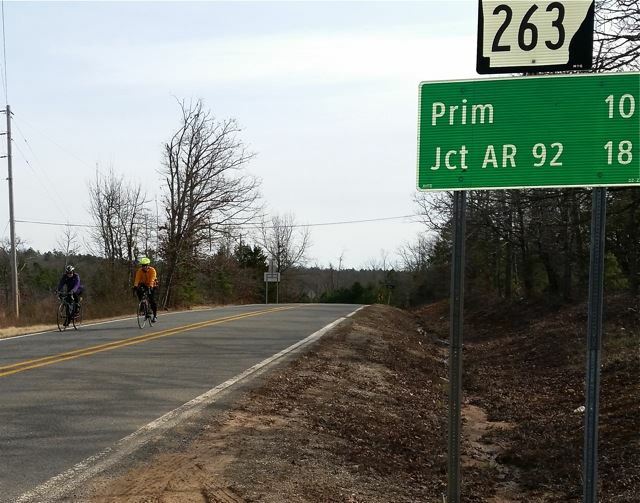 Ride from the Narrows at Greers Ferry Lake to Mt. View with lunch in Prim amongst the Round Rocks of Prim (Google them). Call Wildflower B&B to reserve your room, 870-269-4383. We usually have dinner at the diner near the Square Saturday night and ride back on Sunday after the breakfast, with lunch in Prim again. Riders must join ABC.